Have you got something for Mom next weekend? If not, I have an idea that I think she’ll LOVE over on marthastewart.com! 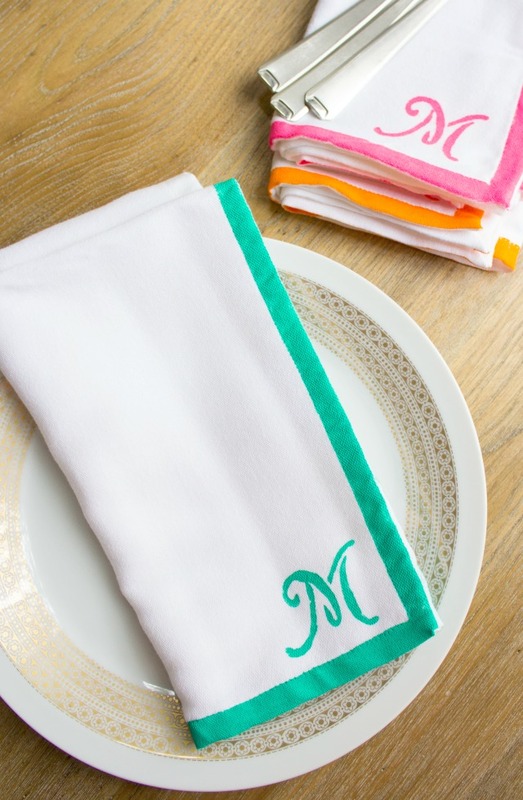 These monogrammed napkins require no embroidery skills at all – just a little fabric paint and a stencil. 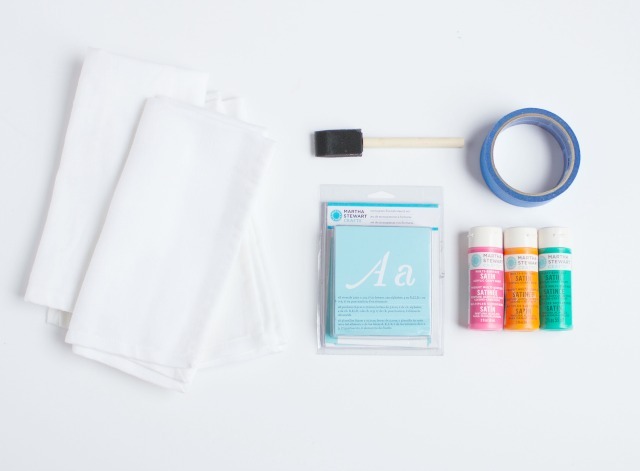 The perfect gift for a mom who likes to entertain! 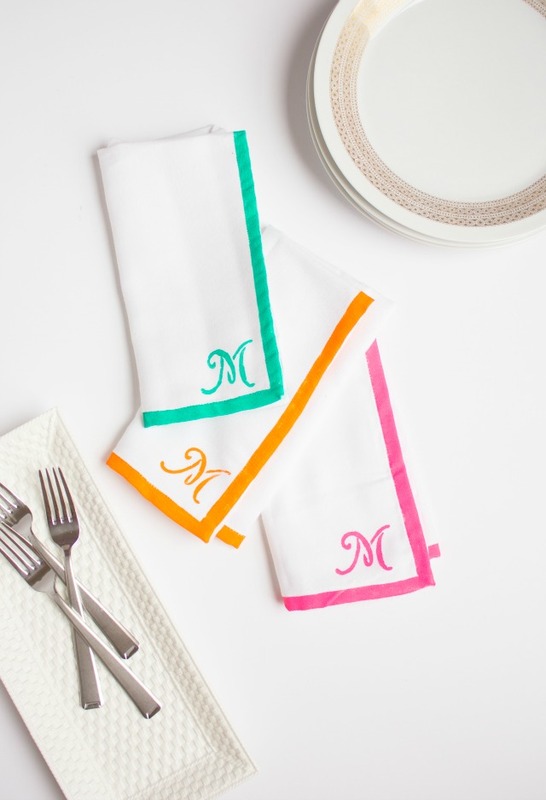 To make these I used some inexpensive cloth napkins, Martha Stewart letter stencils, and my favorite summery craft paint colors. 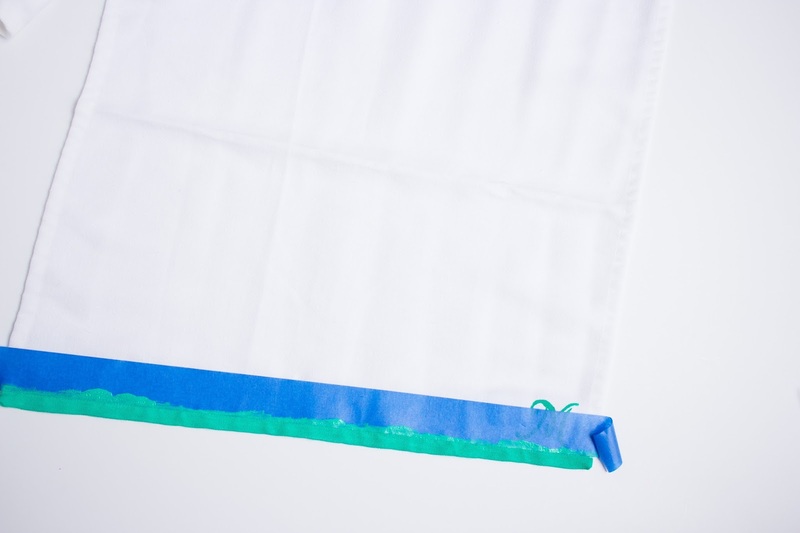 To make the colorful edges, you just tape them off with painter’s tape! Head to marthastewart.com for the full tutorial. And if you’re planning a special brunch for mom, don’t miss these simple Mother’s Day brunch ideas I created for Martha Stewart last year!